If you have a Mercedes Benz, then you want to keep it in as good of shape as possible. Although the German engineering does a great job already, you have to perform routine maintenance to ensure that it continues purring like a kitten. 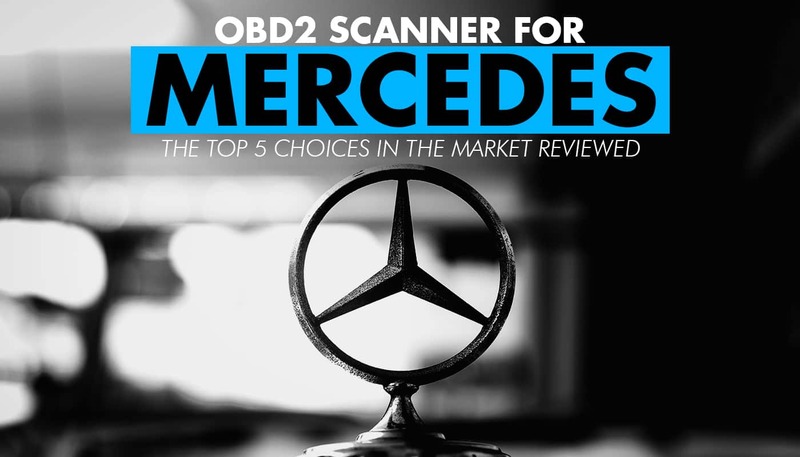 Having an OBD2 scanner is a quick and easy way to do this, which is why we are taking a look at the best scanners for Mercedes Benzes. These devices will make it easy to monitor and diagnose your vehicle so that you can stay on top of any engine problems. Let’s see how they can help you get the most out of your Mercedes. When it comes to picking out the best OBD2 scanners, you can either choose a model that works for a wide variety of brands, makes, and models, or you can pick one that is specific to your particular vehicle. Although we’re looking for the top scanner for Mercedes Benz, this unit from Autel Maxidas is one of the better options out there, even though it’s a generic-use tool. This system has a lot of comprehensive features that enable you to get the most out of your Mercedes. The first thing you’ll notice about this scanner is that it comes with a proprietary tablet. What makes this tablet even better is that it comes with a rubber housing so that you can carry it around anywhere without having to worry about any damage occurring. All of the apps you’ll need to get started are already downloaded, and you have some incredible options available. Not only will you be able to check your car’s OBD2 system, but you can find repair manuals and other data that will help you keep your Mercedes in pristine condition. If you’re just looking for a simple OBD2 scanner, those devices are designed solely to provide information on check engine light codes. However, if you want more power and versatility, the Autel Maxis has you covered. In addition to​ check all dtc codes , this system allows you to monitor other parts of your car, such as the oil, tire pressure, and brakes. Having such a comprehensive capability ensures that you can keep all of your vehicle’s systems in great shape. For the most part, OBD2 scanners are built to diagnose problems with your car, meaning that you’ll have to wait for a dashboard light to come on. With this scanner, however, you can monitor all of your vehicle’s systems in real-time. This allows you to check on your Mercedes’ performance so that you can make adjustments and ensure that you’re performing the right preventative maintenance. Autel also makes sure that you can manage all of this data neatly and conveniently, and you can save stats for multiple cars, making it even more reliable. If you’re interested in a scanning tool that allows you to do more for your Mercedes, then this model from Autel is an excellent buy. We like that it’s simple and easy to use and that it comes with so many additional features. Unfortunately, Autel is not known for making tablets, so the software on the device can be a little spotty or sluggish at times. It’s not as reliable as downloading the apps to a smartphone or iPad instead. As we mentioned, you can either get an OBD2 scanner that works on a variety of cars or one specific brand. This unit from iCarsoft is designed for Mercedes Benz only, meaning that you won’t have to sift through dozens of other makes and models. Let’s see what it can do for your car. With many OBD2 scanners, you get a small device with a tiny screen that shows you the codes for the check engine light. 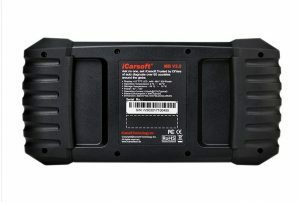 While this model from iCarsoft is compact, it also comes with a larger-than-average screen, making it easier to read what’s wrong and diagnose problems. On top of that, this model is rugged, meaning that you don’t have to worry about sensitive parts and electronics breaking just because you handle it a little rough. This unit is designed to work in a body shop. Because this scanner only has codes for Mercedes Benz, it’s much easier to figure out what’s going on beneath the hood. Also, for modern vehicles, you can check the onboard computer to give you access to a broader selection of systems. We like this scanner because it works for Mercedes of all types and ages (post-1996), so you don’t have to worry about updating your software or getting an adapter to check specific models. As you’ll find out, being able to monitor your car while it’s running is an excellent feature of any OBD2 scanner. Instead of waiting for a dashboard light to come on, you can take preemptive measures to ensure that your vehicle is in tip-top shape. Also, this scanner can reset any of those lights, so you shouldn’t have to go to the mechanic just to do that. Overall, we appreciate the fact that this is a Mercedes-specific scanner, and that it comes with such a wide array of tools to check your vehicle. Also, it has a bigger screen than most scanners, which makes it easier to use. Because this is a proprietary device, the operating system isn’t as reliable as downloading to a smartphone or tablet. Also, in rare cases, you may get an old version, which can have some buggy issues. You’ll have to contact support to get it fixed. When it comes to generic OBD2 scanners, Launch is a brand that makes it simple to see what’s going on beneath the hood. This model is not the latest version, but it’s the most reliable. Although it does have codes for a wide selection of brands, makes, and models, it’s effortless to find what you’re looking for, which makes it better than most other scanners out there. Compared to some of the smaller OBD2 devices available, this tablet is much more durable and reliable. It has a rubberized housing, which makes it last a lot longer than the competition. The other thing we appreciate about the tablet is that it has a large screen so that it’s easier to read the codes and find your make and model. ​Being able to monitor your car’s health is a crucial feature, and Launch enables you to do so with graphical interfaces that show you the data in easy-to-read formats.Rather than poring over mountains of text, you can see everything in charts and graphs for better understanding. ​Being able to monitor your car’s health is a crucial feature, and Launch enables you to do so with graphical interfaces that show you the data in easy-to-read formats. Rather than poring over mountains of text, you can see everything in charts and graphs for better understanding. Although this scanner is not as comprehensive as some of the other ones on this list, we like that it’s reliable and easy to use. The menu is much simpler than most other models, and you can find what you need quickly. Since this isn’t a comprehensive system, there are a few dashboard lights that you can’t reset. Also, if your car is older than 2002, you will need an adapter to make this tool work. Also, having so many other makes and models can slow you down as well. Technically speaking, this next scan tool is designed for mechanics and auto professionals. While it’s simple and easy enough for regular people to use it, keep in mind that it will have a lot of features that you may or may not utilize. So, with that in mind, let’s see what the TOAD has to offer for your Mercedes. 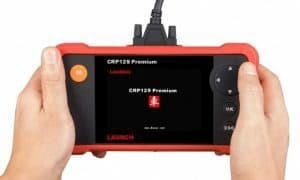 When it comes to checking your engine, you want a scan tool that is both reliable and comprehensive. What sets TOAD apart is that it covers all makes and all models, including everything made by Mercedes. The secret to this system is that you connect it to your computer and download all of the information you need online. Thus, rather than relying on a proprietary device, you can get more from this software than most other tools. Never worry about having obsolete information for your Mercedes. As automakers update their codes, TOAD will keep you in the loop. Also, any software upgrades that will make it run smoother will be automatically sent to you as well. The other thing that sets TOAD apart is the fact that you can improve your car’s performance. This system allows you to check all of your engine’s operations so that you can update them as desired. Also, because you can connect to your vehicle’s ECU, you can make adjustments through the software itself. This enables you to upgrade your car’s performance without having to take it to a mechanic. 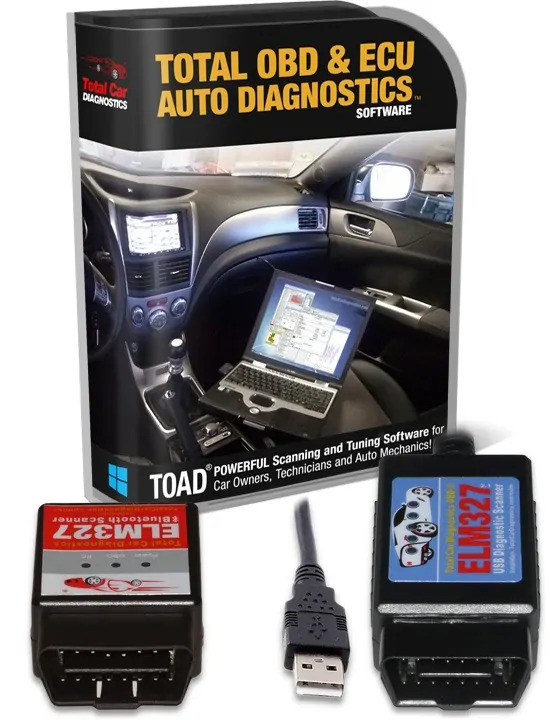 Overall, if you want total control over your vehicle’s diagnostics, then TOAD is the answer. This system has so many features and options that most of them will probably go unused. We would really like this system better if it monitored other parts of your car like tire pressure and fuel. However, since the drivetrain covers most of your vehicle’s performance, this shouldn’t be too much of a dealbreaker. As we’ve already seen, Launch is a high-quality maker of OBD2 scanners. This is the latest version, which means that it has a few upgrades that may make it a better buy for you. However, the software is still pretty simplistic, so don’t buy it if you want to upgrade your car from the scanner itself. One advantage that this tool has over the others on this list is that you can connect remotely. Using a Bluetooth connection, you can check your engine and diagnose problems without having to plug in manually. As with the other Launch device, you can navigate to the right make and model quickly and efficiently. Checking up on your Mercedes is simple and convenient when you use this scanner. If you want to check on your tire pressure, fuel system, or oil, you can do it all with this one device. That’s what makes it better than some other models out there, and it’s why we highly recommend it. Overall, we appreciate Launch because it makes it easy to diagnose what’s wrong with your vehicle. While it’s not designed for live scanning or preventative maintenance, OBD2 monitoring is really easy to do. The wireless connection is not as great as we would like, so you may have to downgrade to a manual plug-in if it doesn’t work for you. Also, the tablet isn’t as reliable as other models, so it can freeze up from time to time. 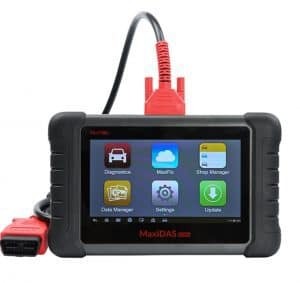 Almost all of these OBD2 scanners are perfect for Mercedes Benz, but when it comes to reliability and functionality, we really like what the Autel Maxidas DS808 has to offer. The apps included on this device make it easy to monitor your car for higher performance, and you get professional-grade assistance. Whether you’re a hobbyist or you want to get the most out of your Mercedes, this tool will help you. For a software-based solution, TOAD is the best option if you're only looking to tinker with engine stuff.